It might be a bit late but ... Happy Easter! We hope you had an amazing time! This week's development update contains a little less progress then other weeks due to the holidays and the fact that all our team members also had other assignments to take care of. But we did do our best to show you some of the progress we made this week. We hope you'll enjoy what you see/ read and we also hope that you look forward to the final release of the game. 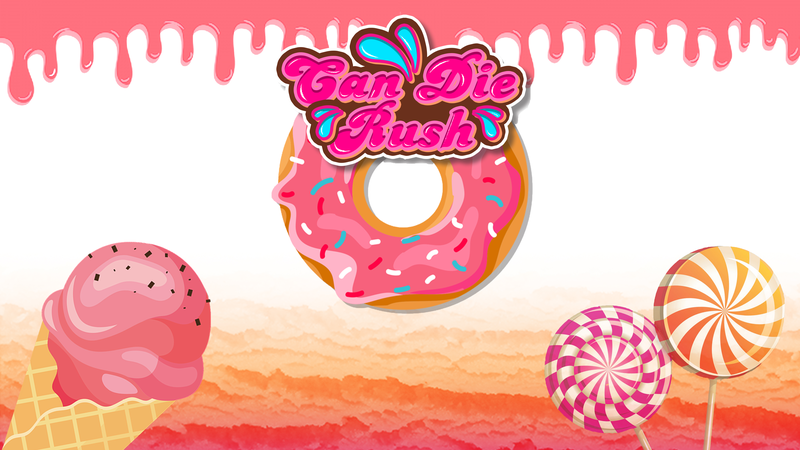 So, stay tuned and follow the upcoming builds of our game " Can Die Rush!". Here are some new sneak peaks of the game in progress. We have been working on the camera for the building mode of the traps and a sprinting mechanic, however those are not yet visible in the game yet. These features will however be in the next build. Soon you'll be able to build those fiery traps while sprinting by your friends and pushing them in the deadly void. You are welcome ;-). For the newest art assets we would like to introduce you to a new upcoming feature : The pickups. 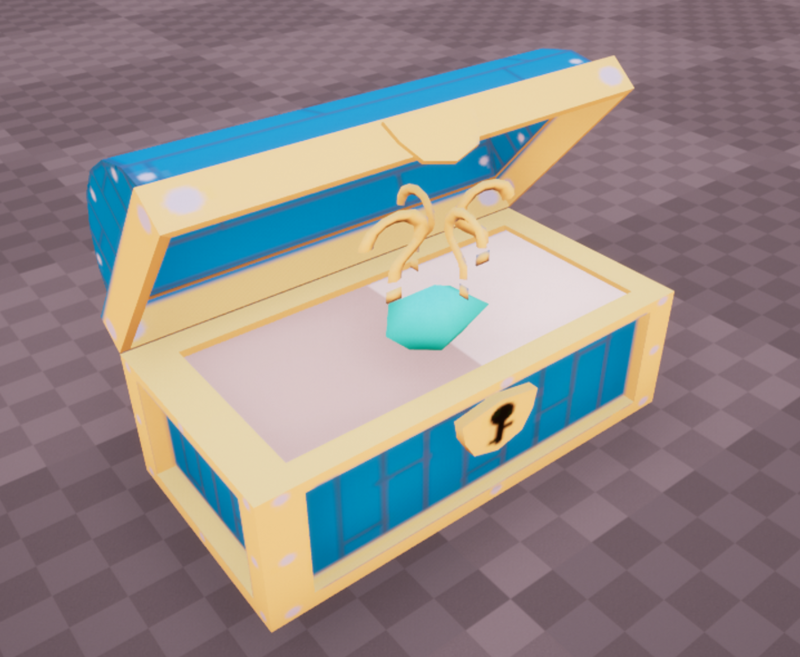 The pickups you will encounter in game will look the same but will all contain something different so you wont know what effect/ buff you will be getting in your hands. some pickups can be used against other players or will boost your own abilities to give you an advantage for a small amount of time. This is what they will look like. (I am sure most of you will recognize these from your sweet old childhoods ;) ). Next up! Two new traps that will soon be added into the next build. 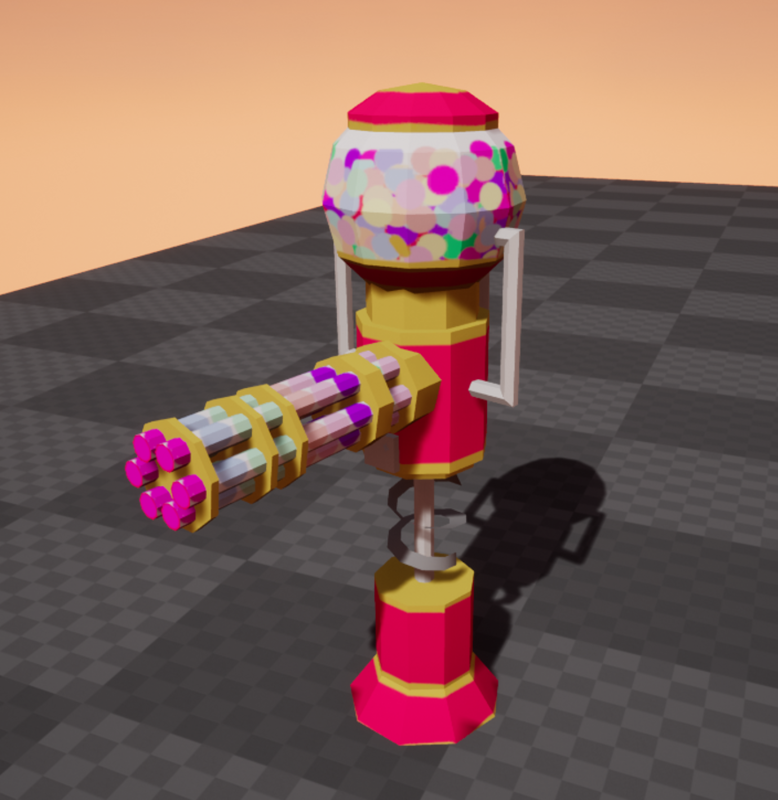 A minigun ball machine that shoots you to pieces as soon as you try to walk by. Imagine getting hit by big chewing gums at the size of a jawbreaker hitting you with the force of a minigun! I know I would cry for less... Up to the second trap. the burning marshmallow firepit! And last but not least, one of our first particle effects that will be added to give more visual feedback to the player while playing the game or just to make everything fancier ;) most of the art assets you see in these builds are still in an early phase and will still be polished towards the end of the production. All we can do now is give you some sneak peak of the current look of the assets and of course also the gameplay. That was it for this week! Hope to see you again at the next Build/update!